Grand Canyon Ghosts! ooooh. Ready to go Ghost Hunting? Grand Canyon Ghosts! ooohhh. Ready to go Ghost Hunting? There are some great stories about Grand Canyon Ghosts. You may not have heard them, since they’re rarely discussed. But, there have been several several accounts of unexplained phenomenon, mystery, and other signs of paranormal activity in and around the region. 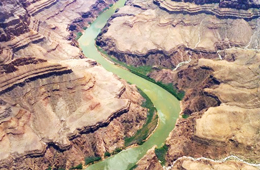 In fact, mystery has surrounded the area since the very first of the Spanish explorers looked over the rim down into the depths of the flowing Colorado River. So get comfy and ready to be spooked! with some of the best Grand Canyon ghost stories. There have been several signs of paranormal activity in and around the North Rim. All activity seems to point to a spirit referred to by the locals as the “Wandering Woman”. 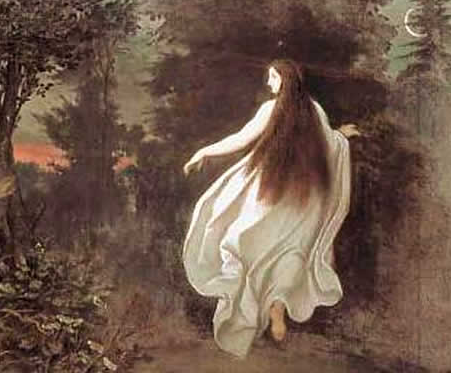 This female apparition is said to be dressed in a white dress that is adorned with blue flowers. She has been observed frequently on the Transept Trail. At night, it is said, that she may be heard crying. No one knows or understands why she seems to be so sad; however, it is rumored that she is searching for her child and husband. 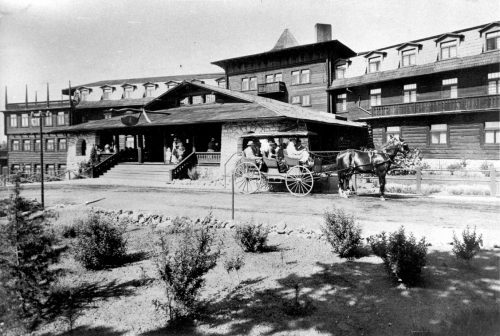 Many believe her death may have originated at the Grand Canyon Lodge. According to several witnesses of the fire that happened at the lodge on September 1st in the year of 1932, her face was observed in the flames. To date, if a door is left open at the lodge, it slams abruptly. 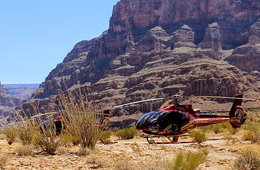 If you are visiting, stay at the Grand Canyon Lodge or walk down the Transept Trail – you may just experience one of the most mysterious grand canyon ghosts for yourself! 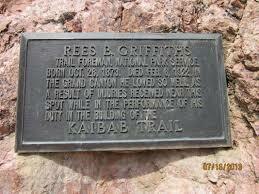 Along the North Kaibab Trail, near the popular Phantom Ranch lies the grave of Rees Griffiths. Mr. Griffiths was the foreman of the blasting crew that was clearing out a section of the area. In February of 1922, he was crushed by a boulder. Before his death, he’d expressed his wishes to be buried in the Grand Canyon. His grave is located between Black Bridge and Phantom Ranch. You may find it situated directly across from the Pueblo Ruins. Since his death, many visitors have seen his ghost walking through the trails of the region. Others have seen a small light hovering immediately above his burial site. Most visitors that have seen the spirit of Rees Griffiths have observed it when camping around the North Kaibab Trail. The “Brown Boys” at Hopi House. 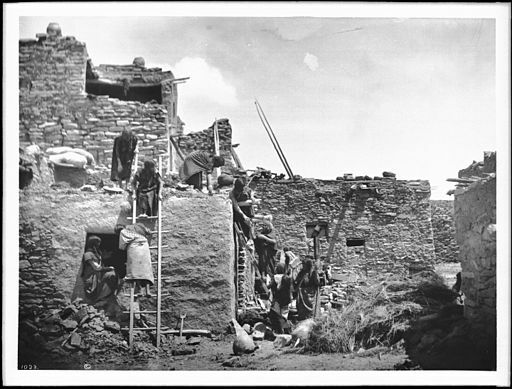 On the South Rim lies an adobe-style structure called the “Hopi House”. Built in 1904, it served to showcase the art of the local Hopi Indians. Today, this structure is still used as a gift shop. According to those that work within this shop or have visited it, there are two spirits that frequent the structure. These spirits are often called the “Brown Boys”. It is said that they run around the structure in the evening hours, turn off electrically-powered items, and even throw items. Many paranormal investigators refer to the spirits as “poltergeists” due to their behaviors. If you’re planning on meeting these ‘Boys’, the Hopi House is located on a trail next to El Tovar. These two Grand Canyon ghosts have all the fun! Fred Harvey came to the US as a young teenager in 1850. He went on to build the first chain of hotels in the United States. He is still celebrated in the region as a leader in hospitality. On the South Rim in El Tovar, the ghost of Fred Harvey is said to haunt the hotel and the trails. Most visitors that observe this spirit say that he appears to them wearing a very long coat and a prominent black hat. Many guests that have stayed at the hotel have left early due to seeing this spirit wandering through the rooms and even appearing in the mirror. Near the hotel, the spirit of a female that appears to be from the 1930s has been observed. One night watchman who claims to have seen this spirit left immediately and was so afraid that he never returned to his job. 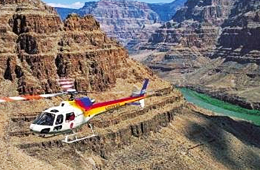 According to those that search for signs of spirits in the Grand Canyon, several different ghosts have been reported at Crash Canyon. 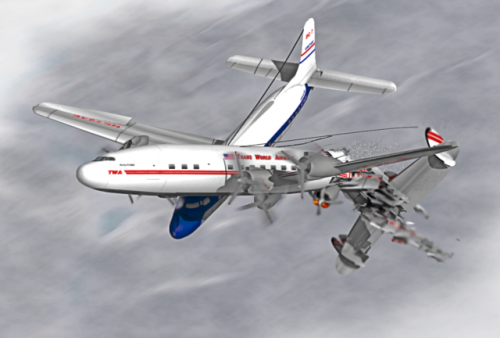 In 1956, two passengers planes collided over the region. One hit the wall of the Chuar Butte and the other turned upside down and crashed into the Temple Butte. Mountain guides were hired to recover remains of the 128 passengers that died in the crash. A mass grave is located on the South Rim, just west of the Yavapai Overlook for all that met their demise that day. Today, rangers, hikers, and other guests claimed to have seen ghosts walking around, and eerie lights moving about. So now you know the stories, would you like to see them for yourself? If you’re ready to go ghost hunting, there are some things you should look out for. 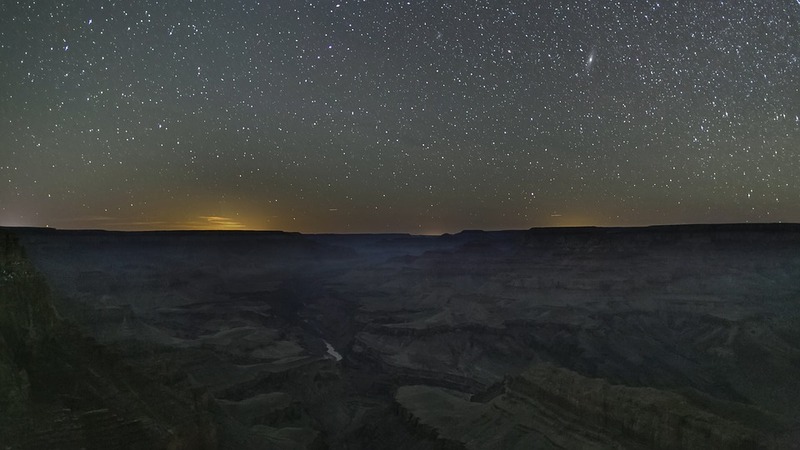 There are potential risks of ghost hunting – especially around the Grand Canyon. Despite these risks, many still choose to search for paranormal activity here. In recent years, more people are conducting their own paranormal investigations. There’s even some great hunting equipment you can bring with you. This rising trend seems to be contributed to popular reality based television shows. Examples include “Ghost Hunters”, “Ghost Hunters International”, “Ghost Adventures”, “Haunted Investigators”, “Most Haunted”, and others. What many viewers do not understand are the potential risks of ghost hunting – especially in the canyons and steppes of the Grand Canyon. Here are some of those risks. It is typically uncommon for an individual to be physically attacked by a spirit, but it has been known to occur according to documented accounts. The real risk has to do with common sense. When do people go looking for ghosts? At night. Ghost hunters say that the “energy” a spirit carries is not enough to be seen in the day. At night, spirits are able to exhibit themselves to their fullest extent. Unfortunately, walking around in the dark can prove to be dangerous. Especially where there are cliffs and drops. In addition to this, most hunters do not know an area well enough to know their way around. Ghost hunting in the Grand Canyon should only be done with an expert in the area. The next potential risk of ghost hunting is that you may subject yourself to a spiritual entity that is negative in nature. This type of energy can be detrimental to you in a psychological way, as well as a physiological way. You may develop symptoms like nausea, feelings of anxiety, mood swings, fatigue, complications in maintaining your balance, negative thoughts and emotions, headaches, pains in other areas of the body, and more. If you plan to hunt for spirits, it is always a good idea to allow one or more other people to come along, and to take a cell phone on your journey in case the need to call for help arises. Then, there are those rare occasions in which a person has actually been “possessed” by an unknown force. Once again, it is not common for this to occur, but it is a possibility that must be considered. When ghost hunting, you may become physically and mentally exhausted. This can put a huge strain on the body. Typically, the average ghost hunter will conduct their investigations late into the night. For those who are on the “night” schedule, this may not be such a burden. However, for those that are on a “day” schedule, staying up late into the night can take a toll on the body. It can make your reflexes slow, it can alter your perception, it can hinder your ability to focus and cause your body to become overwhelmed. If you enjoy participating in activities where you may locate a spirit, it is best to schedule the events in moderation, or else you may find yourself completely beat physically and mentally. As you can see, many things can go “wrong” during an ghostly investigation. If you are aware of the potential dangers and keep them in mind on your hunting trip, you will more than likely be fine and enjoy your time. Take a friend or relative with you. Bring cell phone with an additional battery. Make sure to tell someone of where you will be going. And lastly, put safety first.